For the 17th time in a row, the island of Maui has been voted the best island in the world by Conde Naste Traveler. 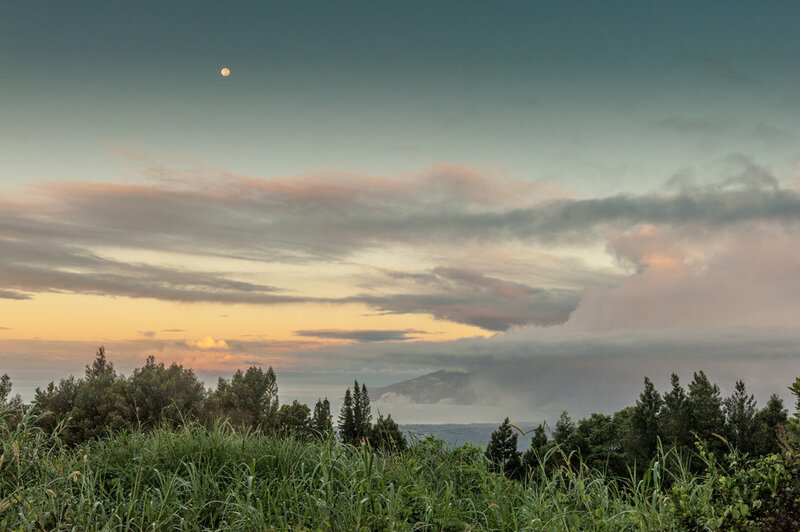 Enjoy daily yoga, meditation, fermented food funshops and exploring Maui's west side. Join us for one last final hurrah that doesn’t end like the movie, “the Hangover”! Bring your entourage of besties and enjoy some serious fun and playtime. Families that play together, stay together. We invite you and your kin for some good, clean family adventure. All ages are welcome. Maui is paradise. We are so excited to share all that Maui has to offer. Your sense of adventure will be quenched with a morning of sea kayaking and snorkeling with sea turtles and tropical fish, a sunrise hike on Haleakala, Maui's 11,000 ft. inactive volcano, a drive along the road to Hana, a daylong excursion around the island, and surfing or stand up paddle boarding on Maui's pristine coastline. Your body will be cleansed, nourished and revitalized through our cuisine. Most importantly, your taste buds will dance! Restore your body through daily meditation, yoga, spending time in nature, hammock time, harvesting organic produce and soaking in the sunshine that abound richly on Maui. SolJourn Retreats on the island of Maui is a transformative adventure, culinary, creative and wellness retreat. Explore, nourish, create and rejuvenate your entire being inside and out through daily adventures, journaling, meditation, yoga, culinary interactives and creative workshops. Sign up with your email address to receive news and updates about our upcoming retreats.